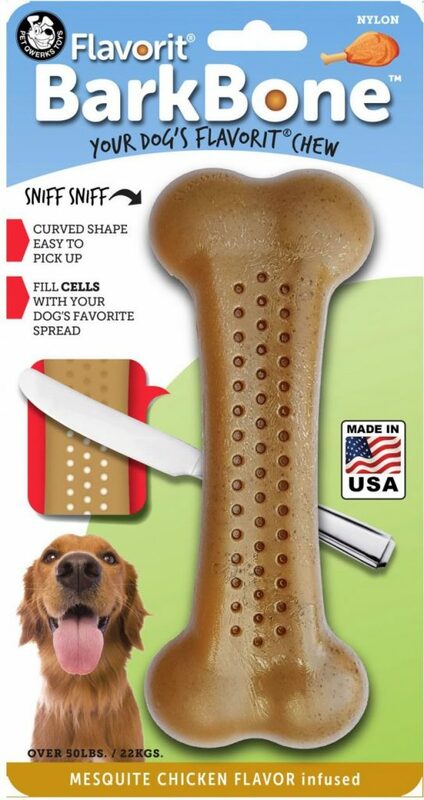 An artisan nylon bone for aggressive chewers. The next generation of Flavorit! The richly flavor infused nylon bone has tiny treat cells molded in both sides.The flavor cells can be filled with peanut butter, cheese, cream cheese, or any other spreadable treat your dog prefers. The tiny flavor cells hold just enough spread to entertain your dog but not so much that they’re getting a lot of calories. The success of other brands of nylon bones rely on the dog’s need to chew. Our bones actually encourage healthy chewing and make for a more entertaining experience. They help to satisfy your dog’s need to forage. You can even add a different spreadable treat on each side to up the flavors! No mess because of the concave design. The BarkBones are hefty in size and curved. 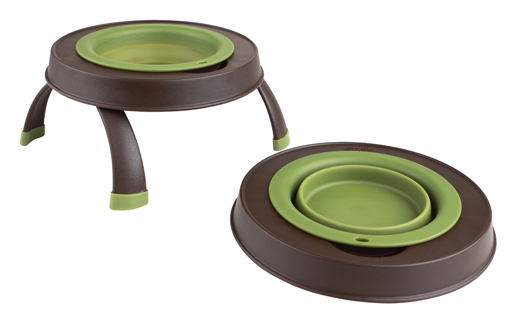 Easier for your dog to pick up and hold when chewing.